A. Paul’s trouble in Asia. a. Paul, an apostle of Jesus Christ: Paul’s introduction of himself as an apostle is both familiar and necessary because he was held in low regard among the Christians in Corinth. They had to remember and recognize his apostolic credentials. i. By the will of God strengthens the point. Paul was not an apostle by the decision or desire of any man, including himself. Paul was an apostle by the will of God. Even if the Corinthian Christians held him in low regard, it did not diminish his standing as an apostle before God. b. With all the saints: It is remarkable that Paul freely calls the Corinthian Christians saints, considering their many problems. We often use the term saints in a different way today, applying it to the “super-spiritual” instead of those who are simply set apart by a relationship of trust in Jesus Christ. i. All the saints who are in all Achaia shows us that Paul intended his letters to be shared among the churches. They weren’t just for the Christians in the city of Corinth but for all the Christians in the region who might read the letters. c. Grace and peace: These are familiar greetings of Paul (used in all 13 of his New Testament letters), but we never get the impression that they are used insincerely. d. From God our Father: Thisreminds us that we are children of God, yet not in the same exact sense as Jesus is the Son of God. We are sons of God, not by nature, but by election; not by ancestry but by adoption; not by right but by redemption. 2. (3-4) Praise to the God of all comfort. a. Father of mercies and God of all comfort: Paul opens this letter by praising the God who gives so much mercy and comfort to the apostle and all believers. We get the feeling that Paul knows the mercy and comfort of God on a first-hand basis. b. God of all comfort: Paul considers the Father a comforter, a Paraclete (paraklesis). We also know that the Holy Spirit is our Paraclete (John 14:16, 14:26, 15:26, 16:7) and that God the Son is our Paraclete (1 John 2:1, Hebrews 2:18, Luke 2:25). God, in every aspect of His being, is full of comfort, strength, and help for us. c. That we may be able to comfort those who are in any trouble: One great purpose of God in comforting us is to enable us to bring comfort to others. God’s comfort can be given and received through others. i. Often, we never receive the comfort God wants to give us through another person. Pride keeps us from revealing our needs to others, so we never receive the comfort God would give us through them. 3. (5-7) Paul’s personal suffering and consolation. For as the sufferings of Christ abound in us, so our consolation also abounds through Christ. Now if we are afflicted, it is for your consolation and salvation, which is effective for enduring the same sufferings which we also suffer. Or if we are comforted, it is for your consolation and salvation. And our hope for you is steadfast, because we know that as you are partakers of the sufferings, so also you will partake of the consolation. a. The sufferings of Christ abound in us: Paul had a life filled with suffering. He described some of these sufferings in 2 Corinthians 11:23-28: stripes… prisons… beatings… stonings… shipwrecked… perils of waters… robbers… in perils of my own countrymen, in perils of the Gentiles, in perils in the city, in perils in the wilderness, in perils in the sea, in perils among false brethren; in weariness and toil, in sleeplessness often, in hunger and thirst, in fastings often, in cold and nakedness. Yet, Paul knew that all his sufferings were really the sufferings of Christ. b. So our consolation also abounds through Christ: Because Paul’s sufferings were the sufferings of Christ, Jesus was not distant from Paul in his trials. He was right there, identifying with the apostle and comforting him. c. Our consolation also abounds through Christ. God may allow situations in our life where our only consolation is found through Christ. Sometimes we think the only consolation is found in a change of circumstances, but God wants to console us right in the midst of our difficult circumstances, and to do it through Christ. i. This is the same idea Jesus expressed in John 16:33: In the world you will have tribulation; but be of good cheer, I have overcome the world. d. If we are afflicted, it is for your consolation and salvation: If Paul and other ministers were afflicted, it was for the sake of God’s people (like the Corinthian Christians). God had a larger purpose in Paul’s suffering than just working on Paul himself. God brought consolation and salvation to others through Paul’s sufferings. i. How could God bring consolation and salvation to others through Paul’s suffering? As suffering brought Paul closer to God and made him rely more and more on God alone, Paul was a more effective minister. He was more usable in the hand of God to bring consolation and salvation to God’s people. ii. Whenever we pray, “Lord, just use me. I just want to be used by You to touch the lives of others,” we do not realize that we pray a dangerous prayer. Through this good prayer, we invite God to bring suffering into our lives if that is the proper tool to make us more able to bring consolation and salvation to the lives of others. e. Which is effective for enduring the same sufferings which we also suffer: The consolation and salvation the Corinthian Christians received from Paul’s suffering were at work in the Corinthians, making them able to endure the same sufferings Paul and the other apostles endured. i. Significantly, Paul writes of the same sufferings. It is unlikely the Corinthian Christians were suffering in exactly the same way Paul was. Probably, not one of them could match the list Paul made in 2 Corinthians 11:23-28. Yet, Paul can say they are the same sufferings because he recognizes that the exact circumstances of suffering are not as important as what God does and wants to do through the suffering. Christians should never get into a “competition” of comparing suffering. There is a sense in which we all share the same sufferings. ii. Of course, sometimes it is useful to compare our sufferings to those of others – to see how light our burden really is! It is easy for us to think our small problems are really much larger than they are. 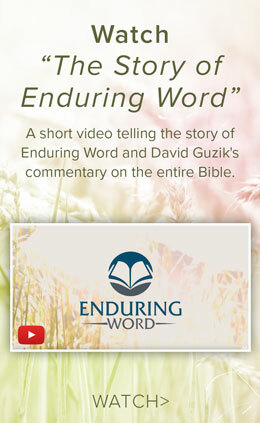 f. Effective for enduring: God’s desire is that we would be enduring through suffering. The ancient Greek word for enduring is hupomone. It isn’t the idea of passive, bleak acceptance, but of the kind of spirit that can triumph over pain and suffering to achieve the goal. It is the spirit of the marathon runner, not of the victim in the dentist’s chair. g. Or, if we are comforted, it is for your consolation and salvation: God did not work only through the suffering Paul endured. God also worked good things in others through the comfort Paul received from the Lord. i. We see Paul living in the footsteps of Jesus, who was truly an others-centered person. Paul’s life is not focused on himself, but on the Lord and on those whom the Lord has given him to serve. Is Paul suffering? It is so that God can do something good in the Corinthian Christians. Is Paul comforted? It is so that God can bless the Corinthian Christians. Suffering or comforted, it wasn’t all about Paul; it was all about others. h. We know that as you are partakers of the sufferings, so also you will partake of the consolation: According to many passages in the New Testament, suffering is promised in the Christian life (Acts 14:22, 1 Thessalonians 3:3, Philippians 1:29, Romans 5:3). Nevertheless, we are also promised consolation in the midst of suffering. 4. (8-11) Paul’s desperate trouble. a. Our trouble which came to us in Asia: We don’t know the exact nature of this trouble. It was probably some type of persecution or a physical affliction made worse by Paul’s missionary work. · Fighting with “wild beasts” in Ephesus (1 Corinthians 15:32). · Suffering 39 stripes after being brought before a Jewish court (2 Corinthians 11:24). · The riot at Ephesus (Acts 19:23-41). · A particular persecution shortly before Paul left for Troas (Acts 20:19 and 1 Corinthians 16:9). · A recurring physical malady. b. We were burdened beyond measure, above strength, so that we despaired even of life: Whatever the problem was, it was bad. Because of this problem, Paul lived with the awareness that he might die at any time (we had the sentence of death… who delivered us from so great a death). i. Because of the threat of death, many feel Paul’s problem must have been persecution. However, the idea of a recurring physical malady isn’t a bad choice. In that day, Jews could refer to sickness as “death” and healing as a “return to life.” The use of the present tense in 2 Corinthians 1:4-6 and 1:9-10 imply that the problem was still with Paul as he wrote the letter. This makes it more likely – though by no means certain – that the trouble was a stubborn illness. ii.In ourselves tells us that Paul’s sentence of death was something he felt within, not something that a court of law had imposed on him from without. 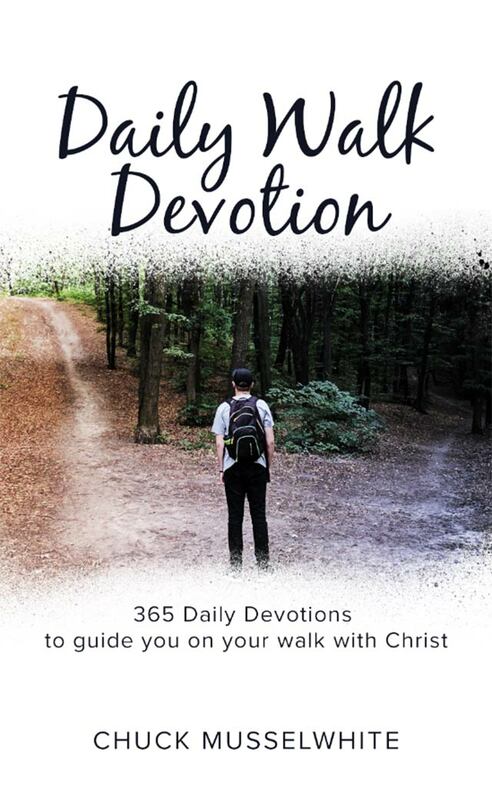 d. Who delivered us… and does deliver us… we trust that He will still deliver us: Paul knew that God’s work in our lives happens in three different verb tenses. God works in us past, present, and future. e. You also helping together in prayer for us: Paul knew the value of intercessory prayer and was not shy about asking the Corinthians, despite their many spiritual problems, to pray for him. The Corinthian Christians were really helping together with Paul when they prayed for him. i. Paul knew that blessing in ministry was granted to us through many: that is, through the prayers of many people. We often think of the great things God did through Paul, and we rightly admire him as a man of God. Do we think of all the people who prayed for him? Paul credited those praying people with much of his effectiveness in ministry. B. Paul defends his ministry. 1. (12-14) Paul’s boast: his integrity and simplicity in ministry towards the Corinthian Christians. For our boasting is this: the testimony of our conscience that we conducted ourselves in the world in simplicity and godly sincerity, not with fleshly wisdom but by the grace of God, and more abundantly toward you. For we are not writing any other things to you than what you read or understand. Now I trust you will understand, even to the end (as also you have understood us in part), that we are your boast as you also are ours, in the day of the Lord Jesus. a. The testimony of our conscience: In this section, Paul defends himself against the accusation that he is fickle and unreliable. Here, he simply states that he has a clear conscience before God and trusts that the Corinthian Christians will understand this. b. We conducted ourselves in the world in simplicity and godly sincerity, not with fleshly wisdom: The Corinthian Christians were so accustomed to dealing with ministers who were calculating and manipulative, they figured Paul must be the same way. Therefore, when Paul said he was coming to them (1 Corinthians 16:5) but did not, they figured he was just manipulating them. Paul lets them know this was not the case. i. The Corinthian Christians had become cynical. They believed that everyone had bad motives and was out for personal gain and power. They didn’t trust Paul because they were cynical. c. We are not writing any other things to you than what you read or understand: Paul wanted the Corinthian Christians to know he had no “hidden meanings” in his letters. His meaning was right out on top for all to see. i. A cynical heart always thinks, “You say this, but you really mean that. You aren’t telling the truth.” Paul assured the Corinthian Christians that he really told the truth and he didn’t communicate with manipulative hidden meanings. 2. (15-17) Paul considers the accusation that he is unreliable and can’t be trusted. And in this confidence I intended to come to you before, that you might have a second benefit; to pass by way of you to Macedonia, to come again from Macedonia to you, and be helped by you on my way to Judea. Therefore, when I was planning this, did I do it lightly? Or the things I plan, do I plan according to the flesh, that with me there should be Yes, Yes, and No, No? a. I intended to come to you before: The Corinthian Christians accused Paul of being unreliable and untrustworthy because he said he would come at a certain time and did not. He was unable to come as planned, so instead he sent a letter. i. In 1 Corinthians 16:5-7 Paul promised to see the Corinthians after his trip through Macedonia. ii. He changed his plans and decided to see them first on his way to Macedonia and then again on his way back, to give them a second benefit (2 Corinthians 1:15-16). iii. Paul made the first visit on the way to Macedonia, but it was painful for both him and the Corinthians because it was full of confrontation (I would not come again to you in sorrow, 2 Corinthians 2:1). iv. At some time after this visit, Paul (or perhaps his representative) was openly insulted in Corinth by someone from the “anti-Paul” party (2 Corinthians 2:5-10, 7:12). v. Because the first visit was so unpleasant and sensing no benefit in a second visit, Paul abandoned his plan to see them on the way back from Macedonia. vi. Titus was sent from Ephesus to Corinth with the “severe letter” (2 Corinthians 2:3-9). Titus was also there to collect the contribution for the church in Judea, but the Corinthians didn’t give as they should have. ix. Later from Macedonia, Paul wrote 2 Corinthians when he heard of more problems at Corinth. The letter was probably written in the fall of 56 A.D.
b. Helped by you on my way:This acknowledges the ancient custom of sending a traveler on his way at the outset of his journey. In the ancient world, when a distinguished guest came to a city, his friends and supporters met him a distance away from the city and walked into the city with him. They also sent him away the same way, walking with him for some distance away from the city. c. When I was planning this, did I do it lightly? The Corinthian Christians accused Paul of being fickle and insisted that if Paul were a man of integrity he would have come in person. Paul’s change in plans made the Corinthian Christians say that Paul must be a man who says Yes but means No and says No but means Yes. i. Paul was criticized as a man who couldn’t decide on a plan or who could not carry through on a plan. His enemies among the Christians in Corinth seized on these circumstances to make Paul look bad. ii. It was all right for the Corinthian Christians to be disappointed that Paul didn’t come and visit them. But they were wrong in trying to blame Paul for the disappointment. They needed to see Paul’s heart and God’s hand in the circumstances. 3. (18) Paul denies the accusation made against him. a. As God is faithful: Paul can say, “As God is faithful, so we were faithful in what we said to you.” Paul was such a man of integrity that he could liken his truthfulness to God’s faithfulness. b. Our word to you was not Yes and No: Paul did not say Yes and mean No or say No and mean Yes, as the Corinthian Christians accused him. 4. (19-22) Paul knew their accusations were wrong based on spiritual reasons. For the Son of God, Jesus Christ, who was preached among you by us; by me, Silvanus, and Timothy; was not Yes and No, but in Him was Yes. For all the promises of God in Him are Yes, and in Him Amen, to the glory of God through us. Now He who establishes us with you in Christ and has anointed us is God, who also has sealed us and given us the Spirit in our hearts as a guarantee. a. Jesus Christ, who was preached among you by us… was not Yes and No: Paul preached a Jesus who is completely reliable and worthy of trust. It wasn’t right for the apostle of such a faithful Savior to be so quickly considered unreliable and untrustworthy. i. Paul alludes to an important principle: The message affects the messenger. Paul could not so sincerely and so strongly preach a Jesus who is not Yes and No and be untouched by that Jesus. Understanding this should have made the Corinthian Christians more trusting towards Paul. b. For all the promises of God in Him are Yes and in Him Amen: Can we imagine God the Father ever saying “no” to God the Son? God the Father will always say Yes to the Son and will always affirm what the Son says (Amen). c. He who establishes us… and has anointed us is God, who also has sealed us and given us the Spirit: Paul and his associates were commissioned by God and filled with the Holy Spirit. Understanding this should have made the Corinthian Christians reject hasty and unfounded accusations against Paul. d. Anointed us… sealed us… a guarantee: Paul refers to three aspects of the Holy Spirit’s work within us. i. Has anointed us: The only other place where the New Testament speaks about anointing is in 1 John 2:20 and 2:27. Every use speaks of an anointing that is common to all believers, not a special anointing for a few Christian superstars. The idea behind anointed is that we are prepared and empowered for service. The fact that we are anointed means that we share something with the Old Testament prophets, priests, and kings who were also anointed ones. ii. Sealed us: In the ancient world, a seal was used to identify and to protect. If something was sealed, everyone knew who it belonged to (the seal had an insignia), and the seal prevented anyone else from tampering with the item. The Holy Spirit is upon us to identify us and to protect us. iii. A guarantee: The word guarantee is the word for a down payment. We have been given the Holy Spirit as a down payment for the fullness of what God will do. The Holy Spirit is a pledge of greater things to come. As Christians, God has purchased us on the lay-away plan and has given us an impressive down payment. He won’t walk away from the final payment because He has so much invested already. 5. (23-24) Paul knew their accusations were wrong based on his own personal reasons. Moreover I call God as witness against my soul, that to spare you I came no more to Corinth. Not that we have dominion over your faith, but are fellow workers for your joy; for by faith you stand. a. I call God as witness against my soul: Paul is taking a serious oath. While Jesus said we should live our lives in such a way so that oaths are not necessary (Matthew 5:33-37), it does not mean that oaths are prohibited. On occasion, even God swears an oath (Hebrews 6:13). b. That to spare you I came no more to Corinth: The Corinthian Christians had assumed that Paul did not come in person because of selfish reasons. They wanted to think he simply was not a man of integrity or was just afraid of conflict. Paul sets them straight: to spare you I came no more. Paul insists that it was out of concern for the Corinthian Christians that he did not make the visit at that particular time. c. Not that we have dominion over your faith: Paul is careful to point out that he is no one’s lord in the church, even though he is an apostle. · First, to make something of nothing. · Second, to know future events. · Third, to have dominion over men’s consciences. d. Fellow workers for your joy: Instead of seeing himself as some kind of “lord” over the Corinthian Christians, Paul gives a great description of what ministers should be: fellow workers. Leaders among Christians should work alongside their people to increase their joy.